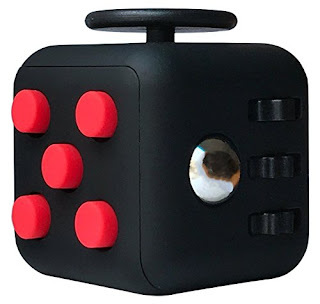 Savvy Spending: Amazon: Fidget Cube for $3.98 shipped! Amazon: Fidget Cube for $3.98 shipped! You may have seen these little gadgets on social media. I first saw a link on them last year on a Kickstarter page, but they were priced at $25! Amazon now sells these Cube Toys for Fidgeters for just $3.98 with FREE shipping! Each side has a different button, or ball, or joy stick to help people who need to keep their hands busy or are prone to fidgetting! I've got one coming- can't wait to see how everyone likes it!